St. Alban Anglican Church to host 10th annual Richmond Connects Day. Homelessness and poverty seem like insurmountable problems that need three levels of government to help. But on Thursday, Oct. 18, and in the run-up to it, the people of Richmond can help. It’s a chance to make a difference, one pair of socks, shoes or a back pack at a time. Items that all come in handy when you have to carry all you own with you and when you have to walk everywhere. Poverty makes many decisions for you. 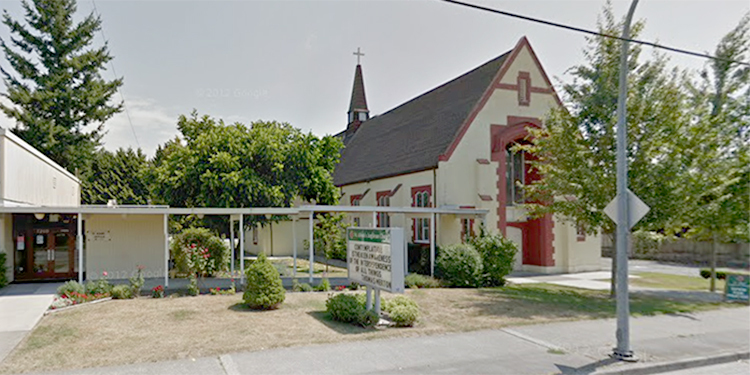 Richmond Connects Day is based at St. Alban Church, 7260 St. Alban’s Rd., but is the product of many people and groups working toward a common goal, making life better for those who don’t have a home or who live with precarious finances. “For the day, this location becomes a one-stop shop of services, starting at 9 a.m. with a pancake breakfast followed with access to direct services such as such as haircuts, clothing, meals and healthcare as well as information and referral to services that can be accessed year round,” says De Whelan of the Richmond Community Connect Planning Group. For the pancake breakfast, if you can help, show up. If you just want to eat, show up and meet neighbours from around our community. Richmond is making progress. 40 people who need a home will have one when the new modular homes are built on the corner of Alderbridge Way and Elmbridge Way, across the street from the Rona store. In addition, various places have low cost and no cost community meals, such as Gilmore Park United Church’s community meal on Thursdays, and St. Alban Church’s meal on Tuesdays. The fact that those two churches are 4.3 kilometres (2 miles) apart shows the need for good shoes, clean socks and a backpack when you have little or nothing. Saturdays, from 8 to 10 a.m., St. Alban also offer a shower to anyone who would like one, along with a hot breakfast, a bagged lunch, and internet access. Whelan says, “None of these services have regular funding and rely on both in-kind donations and financial support.” For those donations, the community looks to the community to help. If you can offer your labour, your goods, or your money, even if meagre, please email richmondcommunityconnects@gmail.com for more information or to offer help. The committee asks this year that Richmond residents consider giving a little extra so that donations can be forwarded on to the year-round services that do not have regular funding. Those services include outreach, life skills counselling, community education, the extreme weather shelter and the outreach meal program. 1. Please send monetary donations c/o Richmond Food Bank Society, #100-5800 Cedarbridge Way, Richmond, V6X 2A7. Make cheque payable to Homeless Connect. Whelan quotes American historian, playwright, and social activist Howard Zinn, “Small acts, when multiplied by millions of people, can quietly become a power no government can suppress, a power that can transform the world." An act as small as donating one pair of socks can make a big difference in the life of a Richmondite who must live outdoors, in the damp, on their feet everyday.